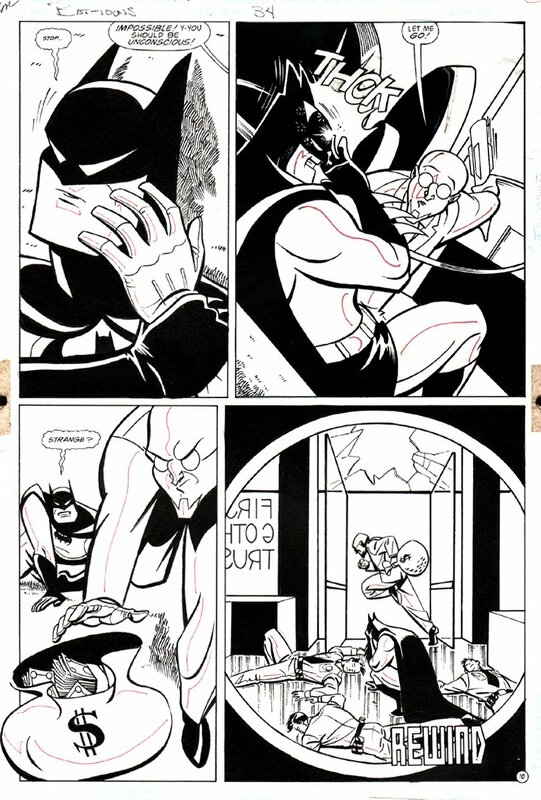 Check out this very nice 1995 Batman page which was penciled by the late great Mike Parobeck, and inked by Rick Burchett, from the story titled: "In Memoriam!" The upper right panel is all drawn artwork. but a mirror image stat was placed over the original drawn artwork. Just a great opportunity to own this NICE Batman action page, drawn by the artist who sadly passed away way too soon in 1996! Mike Parobeck's artwork is HIGHLY sought after, even though he drew a very little overall body of work!